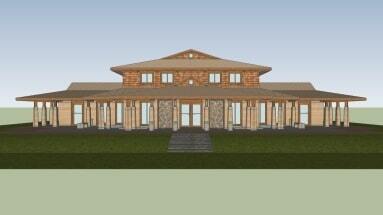 The Yoga Eco-Village Temple is the proposed centerpiece for Yoga Eco-Village on Salt Spring Island, BC. This west coast rammed earth building has 2 yoga studios and a meditation studio configured in sacred geometry. 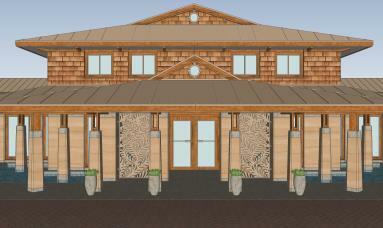 The main yoga studio is 2 stories inside and will have a large painted mandala ceiling. South view, the clerestory area of the main studio is clad with cedar siding. The main entrance to the yoga temple with decorative floral panels on each side. 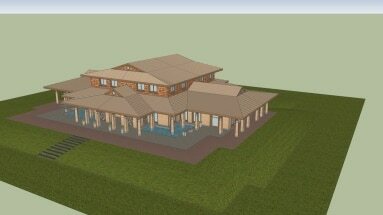 Isometric model view of the yoga studios from the south-east. 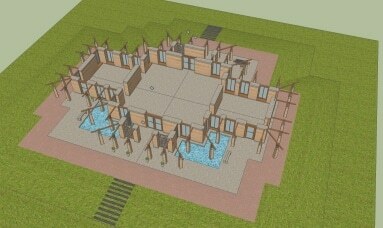 This is a view of the rammed earth walls and wood beams with the roof removed. 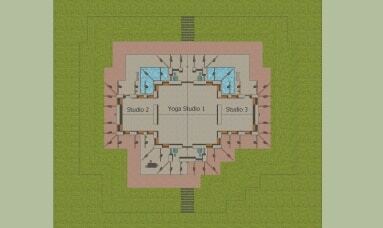 The floor-plan of the yoga studios.